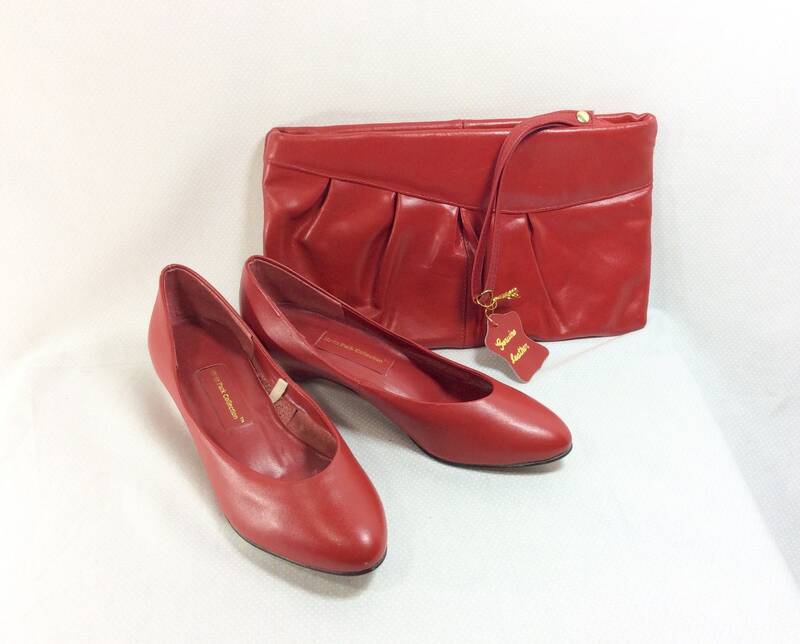 Take your vintage outfit to the next level with this set of matching shoes and clutch! Both pieces were made during the 1970s by "Hyde Park Collection". They are made of genuine leather and look great together or worn separately! 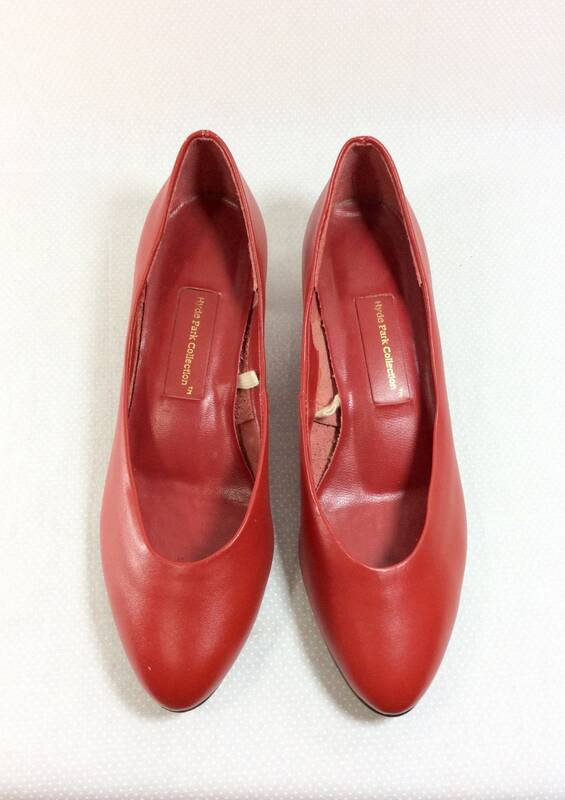 The shoes are women's US size 6.5. 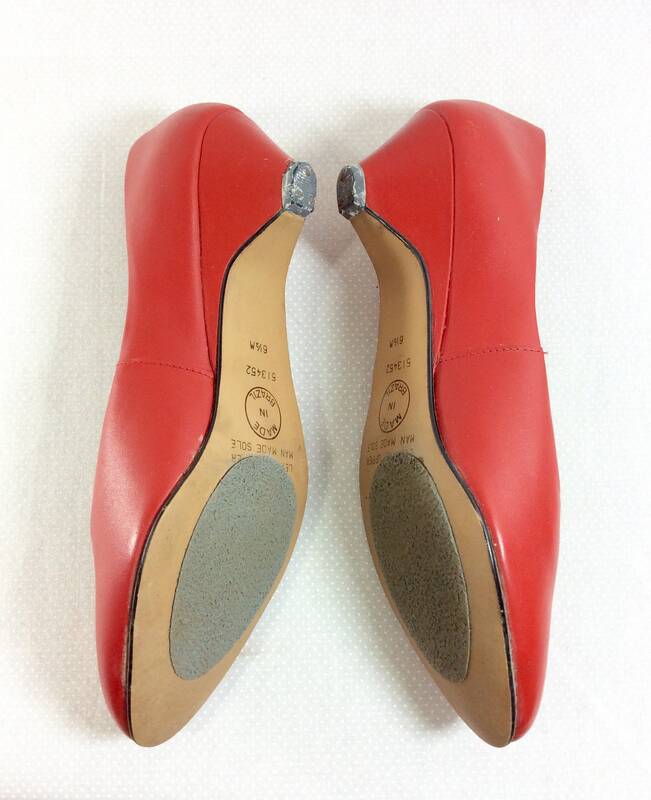 They are rounded at the toe and have a 1.5 inch heel. 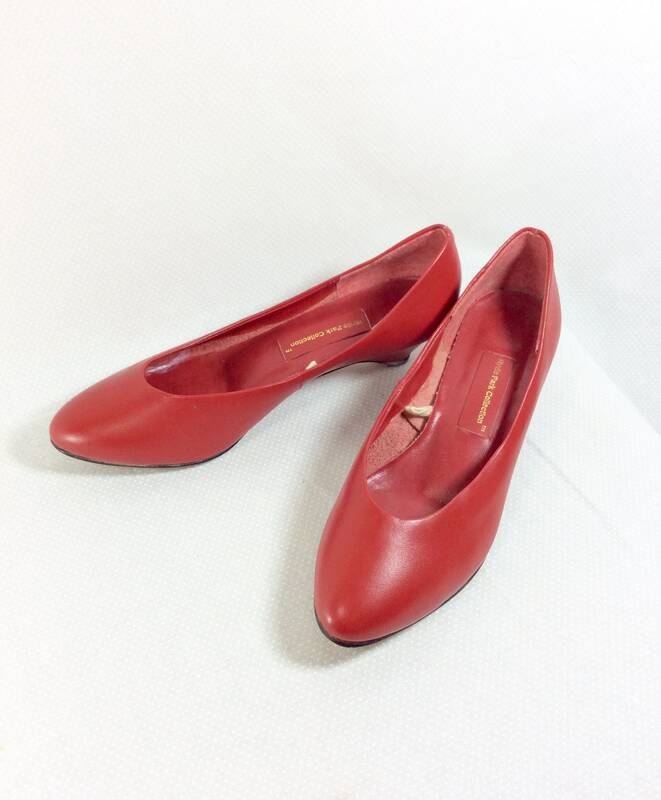 The leather is soft and flexible making them very comfortable to wear. There is some minor wear on the base of the heel (see photos), but overall they are in very good condition with no scuffing on the exterior. Friction pads have been added to the soles for extra traction, but could be removed if desired. 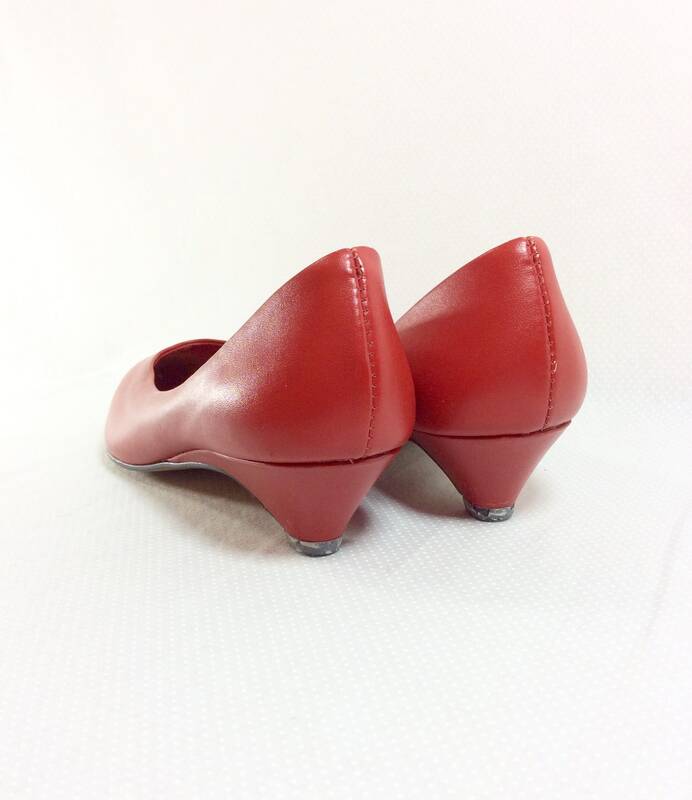 The shoes measure 10 inches in length from heel to toe. The widest part of the sole measures 3 inches across. 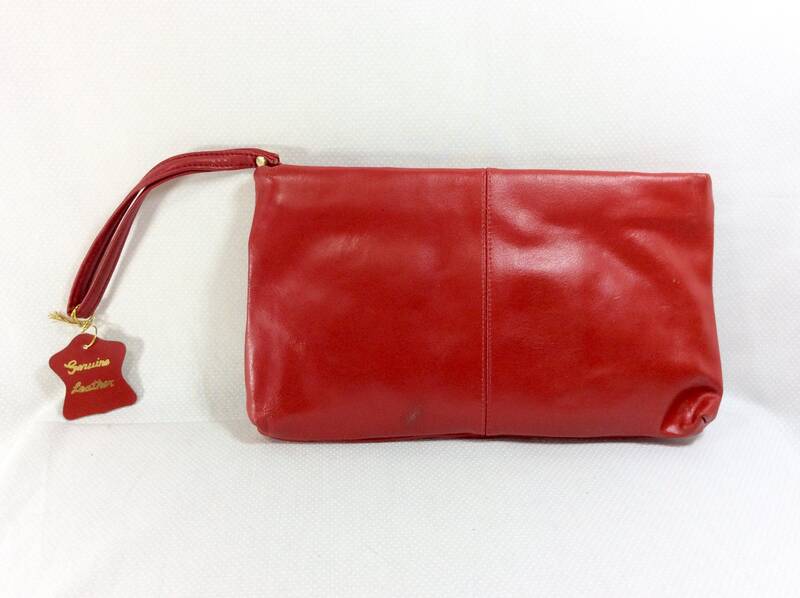 The leather clutch measures 6 inches tall by 11 inches long. A wristlet strap measuring 7 inches long is attached to the zipper pull, allowing you to have your hands free when carrying the clutch. 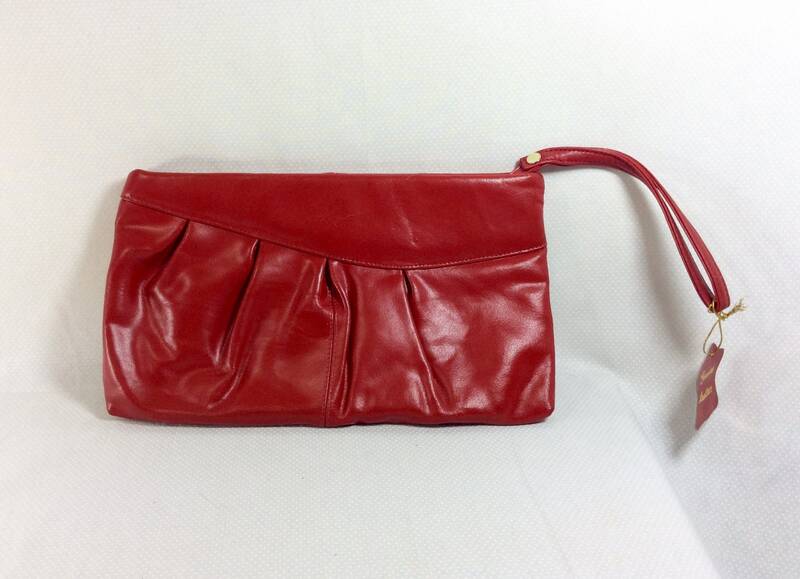 The front of the bag has an asymmetrical yoke and some pleating in the leather. 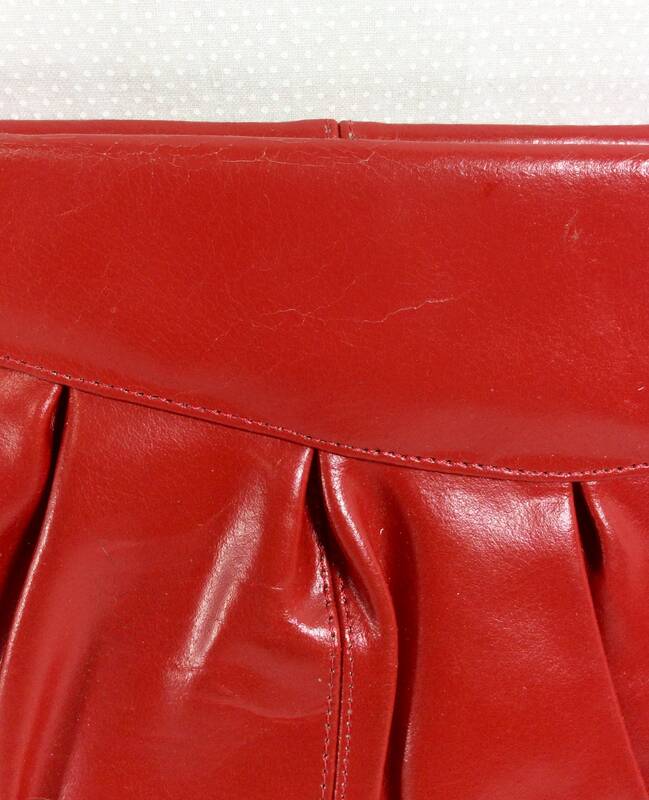 The back side has a decorative seam running vertically through the center of the clutch. 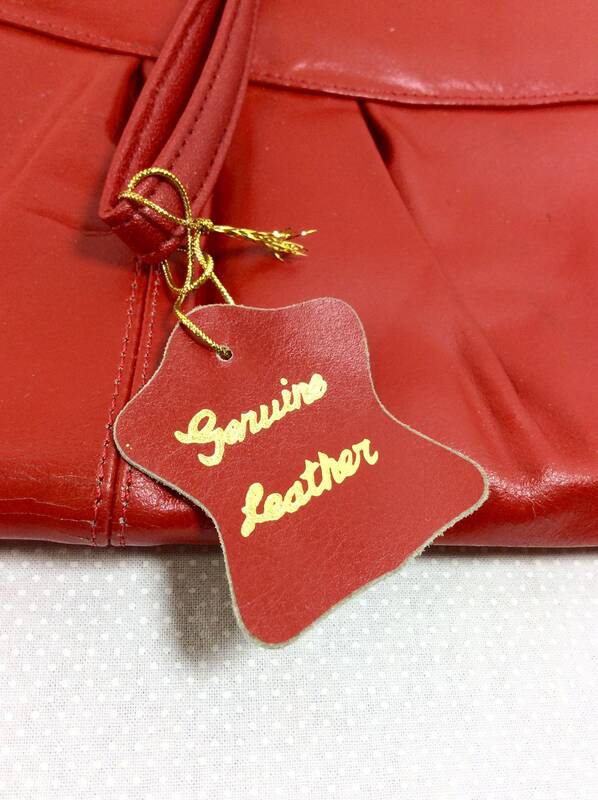 The inside lining is red in color and very clean. 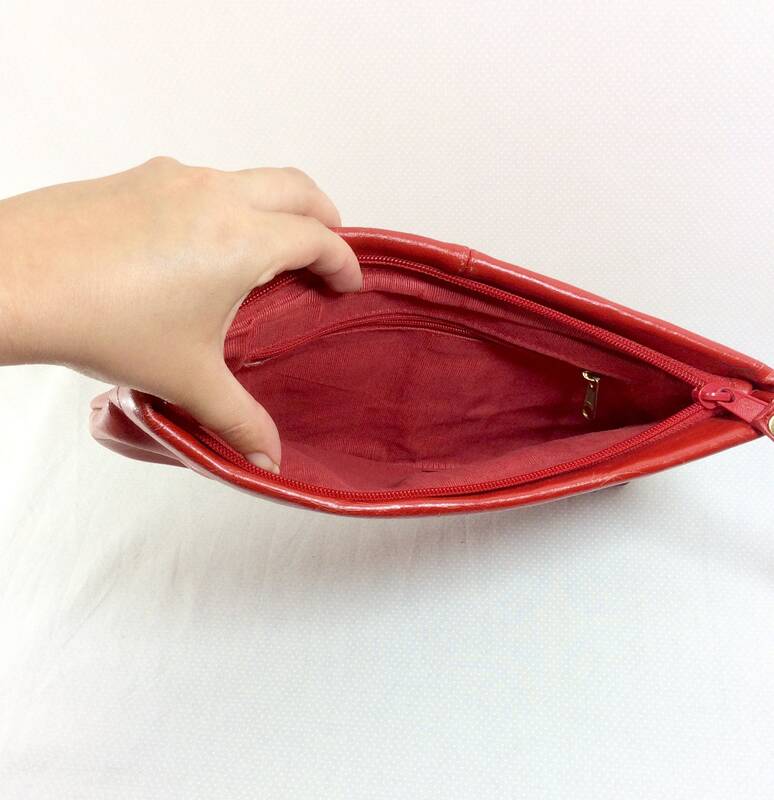 There is one interior zip pocket that is perfect for holding your cash and cards, the rest of the handbag is large enough to fit the rest of the essential purse items such as your phone, lipstick, keys, etc. There is some slight crackling of the leather throughout the clutch, however it is only noticeable if you look extremely close up. Over all both items are in good vintage condition. There are no stains, rips, or odors, and they were stored in a smoke-free environment. Both pieces would be perfect for a pinup look, or even a costume!